This Pullover with Cowl neck and Long Set-In sleeves and rolled edge is designed to be a standard fit, with 5cm / 2in ease. Any Chunky (Bulky) yarn that knits to the specified gauge (14 sts x 19 rows) may be used. The instructions are given for 11 adult sizes ranging from US4 (UK6) to US 24 (UK 26). Yarn requirement is between 634 and 1031 yards (580 – 943 m), depending on the garment size. Great for relaxing in colder weather whether out and about or cozying up at home. The sweater is knitted flat from the bottom up, with the back, front, and sleeves worked separately, and then sewn together. The collar is formed by picking up stitches around the neckline after the right shoulder seam has been joined. The main body of the garment is worked in stocking stitch without a rib to give a rolled edge. 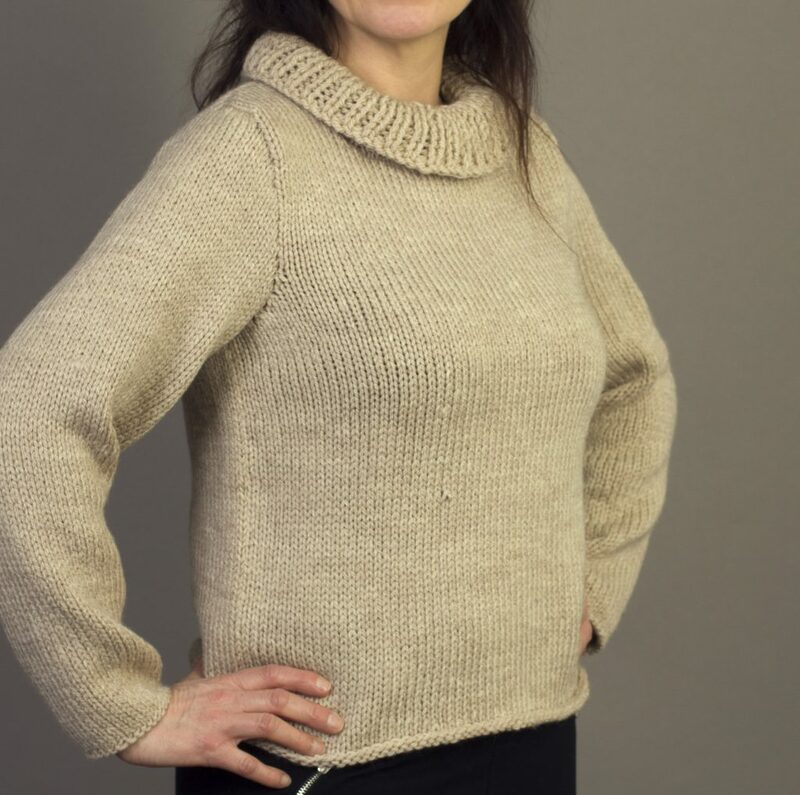 The cowl neck collar is knitted in single rib stitch using the larger needles to give a looser effect.